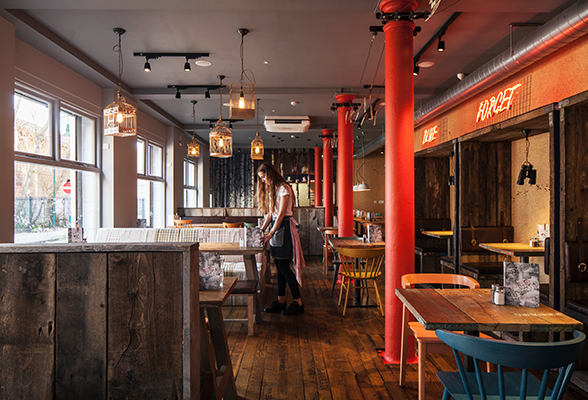 Design LSM has designed the interiors of a Southern US-inspired restaurant based in Spitalfields, London. The consultancy was tasked with capturing the brand’s “playful identity” and balancing this with a nostalgic and modern design. Set over two floors, the response is a “warm and rustic” all-day dining environment on the ground floor and a “relaxed and intimate” cocktail bar in the basement. 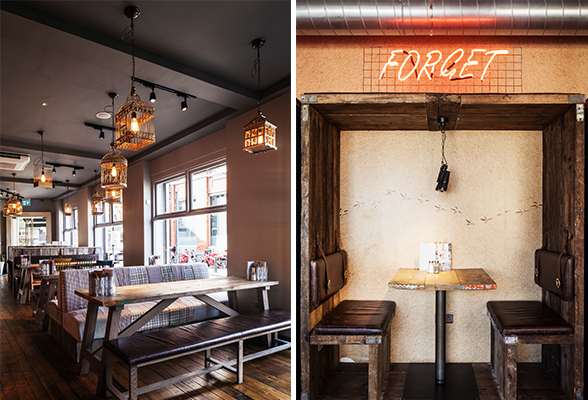 There is reclaimed wooden seating upstairs taken from old US barns, combined with corrugated timber panels offset with flannel shirt upholstery and neon signage. 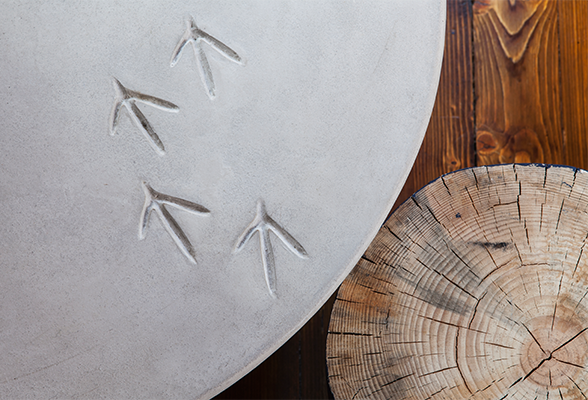 Concrete tables have been embelished with bird footprints and other ornathological touches include bird wathcher’s maps in the toilet. The basement has a 1920s speak easy theme where a “luxurious and worn” feel pervades. 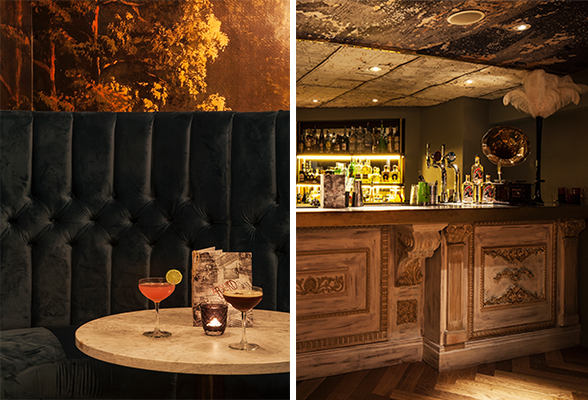 The marble bar has a brass trim and wooden frontage while booths are framed by “luxurious fabrics and bespoke wallpaper” says DesignLSM.